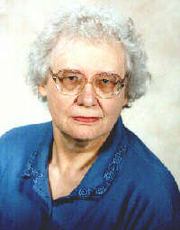 Sylvia Engdahl also edits non-fiction books such as Euthanasia, Medical Rights and many others which appear on this page. Sylvia Engdahl is a LibraryThing Author, an author who lists their personal library on LibraryThing. Sylvia Engdahl's book Defender of the Flame was available from LibraryThing Member Giveaway. Sylvia Engdahl's book The Planet-Girded Suns: The History of Human Thought About Extrasolar Worlds was available from LibraryThing Member Giveaway. Sylvia Engdahl's book Stewards of the Flame was available from LibraryThing Member Giveaway. Sylvia Engdahl is currently considered a "single author." If one or more works are by a distinct, homonymous authors, go ahead and split the author. Sylvia Engdahl is composed of 7 names. You can examine and separate out names.